If you believe in our good work, please support us in any way you can. Your generosity allows us to do manage our extensive vet bills, medical care and treatment and the ongoing need for quality food and bedding. To send us a donation through Paypal – click on the link below and follow the simple instructions provided. Your help is sincerely appreciated. Christmas is a time when many animals are neglected, by sponsoring an animal for or Christmas appeal you can provide a cat, dog or wildlife animal with food and care to give them the gift of Christmas. Section 848A of the Taxes Consolidation Act 1997 (TCA 1997) provides for a scheme of tax relief for certain ‘eligible charities’ and other “approved bodies” that you can avail of to support the work of organisations such as ours. From April 2001, tax relief has been available on donations of €250 or more in any one tax year to eligible charities from individual and corporate donors. Starting from 1st of January 2013, Irish Revenue has simplified the process for PAYE and Self Employed people to give to charities resulting in benefits for charities. All previous donations up to December 31st are subject to the old rules. How much do your or your company have to give? A minimum of €250 or more in one year either as a once off donation or as a monthly payment (equivalent of €20.83 per month) for example, through a standing order can be donated to the foundation. Very simply, complete either the CHY3 “enduring” form or the CHY4 annual form available from the Irish Revenue and return it to the Kildare Animal Foundation, Lough Andy’s House, South Grove Road, Kildare Town, R51 5E00. This will give permission to the Kildare Animal Foundation to claim a tax refund on your generous donations. Before making an application, please contact us in writing at the Foundation and we will provide you with details of our Charity Registration Information. The CHY3 Enduring form will allow the Kildare Animal Foundation to receive the tax relief on your donation for 5 years and the CHY4 form will last only one year. Please download the forms here. How much does Kildare Animal Foundation receive? Using the new simpler tax relief measures from January 1st 2013, the Kildare Animal Foundation will receive the tax relief on your donation. A new blended tax relief of 31% is the designated rate for this purpose. For example, a donation of €250 will be equivalent of €277.77 for the foundation. For example, a PAYE or Self Assessed person donates €250 to the animal foundation – this will be grossed up by 31% and result in the Kildare Animal Foundation receiving €362.32. Please accept our sincere condolences if you have recently lost someone.  Kildare Animal Foundation is extremely grateful that you would consider us at this time of great personal sadness and grief. Making a donation in memory of a loved one is a great way to pay tribute to them by making a difference in supporting the work of the Kildare Animal Foundation to provide a safe haven to nurse animals back to health & find them good homes. You can make a donation in memory through any of the options above and please provide us with the name of the person you would like us to commemorate and acknowledge. Many families like to support an organisation to honor their loved ones by asking people to donate to an organisation in lieu of flowers. This request can be included in the death notice of your loved one. Your family and friends can make their donation online, by cheque or in person at our office. We provide a safe haven to nurse animals back to health & find them good homes.  By making a will and pledging a legacy to the Kildare Animal Foundation, you can help us achieve our aims to to care for Kildare’s neglected animals and to find them good homes. If you would like to include us in your will, please discuss your options with your solicitor when drawing up your will.